From the makers of The Bachelor, a reality show in which single people compete to get married, comes a new show about the extremely sweet and goofy act of proposing to another person—a show called The Proposal. This summer, you can sit in your air-conditioned apartment, relax, and watch other people get engaged on ABC’s latest televised display of domesticity. Each one-hour episode of The Proposal will follow the male or female daters as they attempt to woo the secret suitor in first impression and beachwear rounds, answer pressing romantic questions, and then strive to receive a seal of approval from the suitor’s most-trusted family member as the final test. After each of those four rounds, the daters who fail to connect are eliminated, until only two are left. The final two will then meet their mystery guy or gal and propose. ABC’s description of the series asks: Will there be a marriage proposal that can’t be refused? I hope not, because that sounds like coercion! 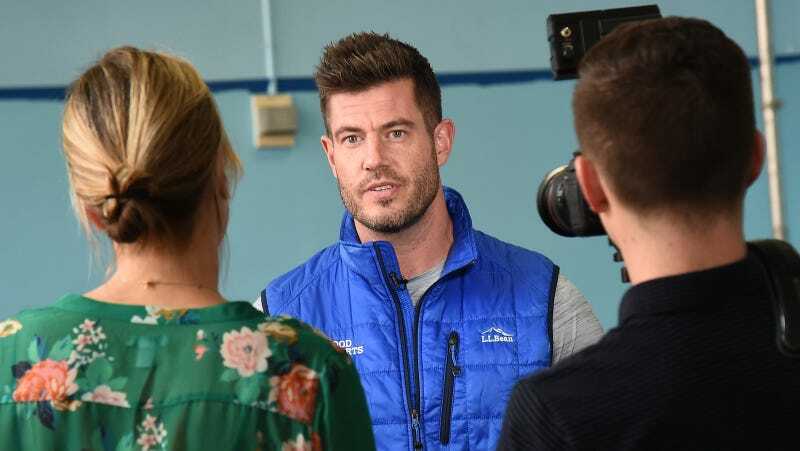 While Palmer was not coerced on his Bachelor season, he and finalist Jessica Bowlin were never engaged and broke up shortly after their season ended. What if it ends up being Palmer who makes the final proposal? Sorry if I’m ruining your twist, ABC, but it still sounds like it’ll be worth watching. Surprise! It&apos;s Me! Your Ex! On Reality TV!